Orange, now there’s a color, some love it, many hate it. Personally, we love it, one of us even bought an orange car. So the color does have its fans. 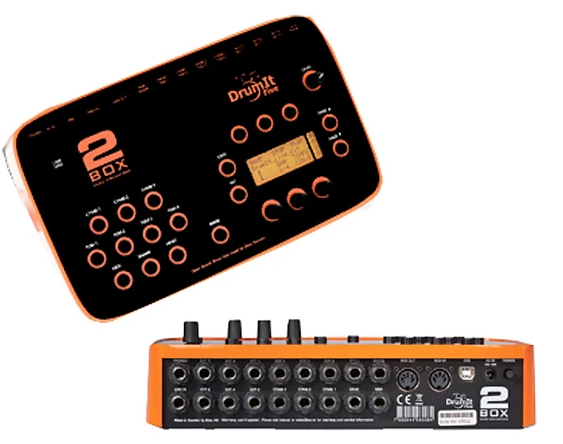 And some of those fans of the color orange fans seem to be working as designers at 2Box because their DrumIt Five electronic drum kit couldn’t be much more strikingly orange. But how does the DrumIt Five distinguish itself apart from in the color department? The combination of the striking orange and brushed metal gives the kit an amazing look. It’s so tactile, you just want to touch it! 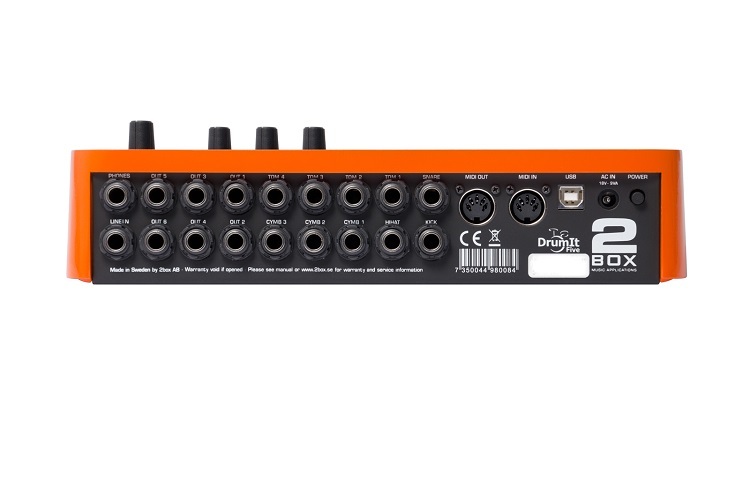 2Box describe the DrumIt Five as an ‘open-sound drum system’. They designed the kit to enable users to employ whichever types of heads they prefer, either regular or mesh. As well as enabling its users to create and import their own personal sounds into the DrumIt Five module. This allows you to really customize the kit to your own particular requirements and not use the same old sounds that everyone else is using. But it’s not only the color, it’s the physical design, that also sets the DrumIt Five apart from the crowd. 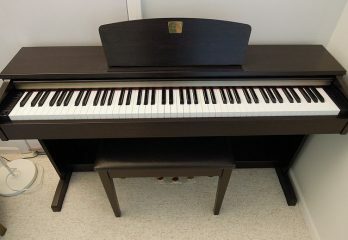 As mentioned, we absolutely adore it and don’t really understand why instruments have to only be available in black. But opinions on this obviously vary, and a lot of people won’t like it for the color choice alone, so it’s a bold move releasing it in this color scheme. There’s absolutely nothing to complain about in terms of pad construction. The cast aluminum chassis provides a firm base for the pads. The pads themselves feature heads that can be tensioned and a nice low-profile look. 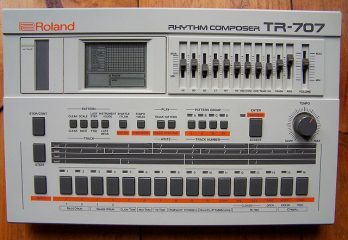 They remind us in many ways of the pads used on Korg’s Wavedrum and Yamaha’s DTXtreme III. Some players want their electronic kits to look as similar to full-on acoustic kits as possible, others, thankfully, don’t. As expected with the choice of color scheme, 2Box is going for the second group of players. Having the courage to come up with a design that is as character-laden as the DrumIt Five. Each drum pads features a main head sensor as well as an independent rim trigger. 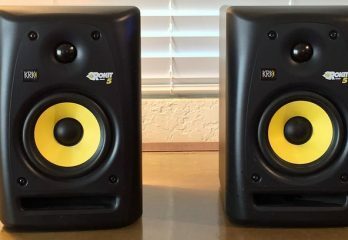 These allow for either realistic acoustic emulations, with rimshots or crossstick sounds being very much part of the deal. Or, more interestingly, for different sounds to be assigned to head and to the rim. Some players won’t get this. And the thought of triggering a bongo sound on the head and a dirty vintage sub-kick on the rim would seem ludicrous. But others will love the creative doors that open up with this functionality. 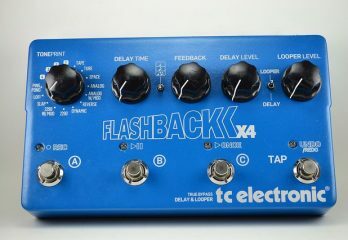 Allowing previously imagined sonic creations to now become a reality. The cymbals are also multi-zone, allowing sounds to be created from all areas – edge, bow, and bell – in as natural a fashion as is possible. Silicon rubber is used to cover the cymbals, which obviously doesn’t give the cymbals a traditional look but we think that may be partly the point. But regardless of the looks, the cymbals do at least feel good thanks to having just the right amount of ‘give’ when struck. Breaking with the general look of the kit, 2Box does, however, follow the traditional path with the hi-hat. Which even though it’s black in color, is mounted on a regular hi-hat stand. It’s a single pad design as opposed to the two-pad Hi-hat available on Roland’s more expensive V12. But, regardless, it still retains excellent tactile response, once you’ve calibrated it to your own playing style. Two factors that really set this kit apart and make it feel substantial and usable is that the snare pad mounts on a separate stand and not on the frame. And, secondly, that the kick pad is a sizeable 14-inch, as opposed to the ‘mini’ kick pads some of its competitors use. Let’s talk about its brain! The DrumIt Five brain is a very simple-looking device. Considering that it’s now common to see flashy LCD screens, with data wheels and even mini mixers on electronic drum kit modules, the simplistic layout of the DrumIt Five’s brain might seem, a little underwhelming at first. 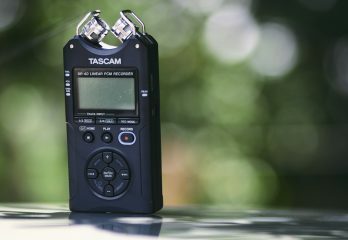 But looks can be deceiving, because it comes loaded with 100 factory kits, a vast selection of play-along tracks, USB input for connecting to a Mac or PC, MIDI in and out and 4Gb of flash memory. So, it actually does more than enough, despite its uncluttered front panel. 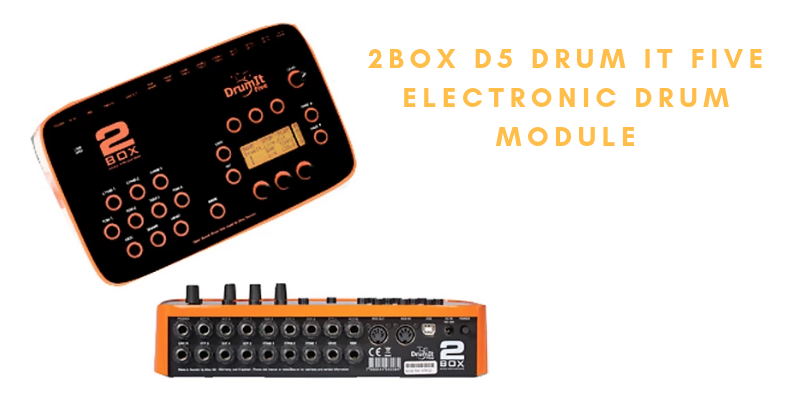 But what does the 2Box DrumIt Five sound like? Considering the DrumIt Five’s ‘open sound nature’ – i.e. 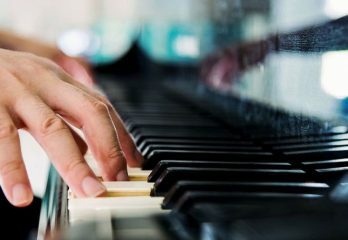 import your own sounds and use them in any way you like. You might be expecting the kit to be somewhat lacking in terms of quality factory sounds. Not at all! 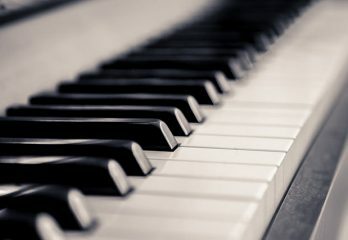 The ability to be so creative, in terms of using your favorite sounds, is of course very welcome. But, it’s not in the least bit necessary, in order to start to really enjoy playing the DrumIt Five. The degree of dynamic response and the overall quality of the beautifully multi-sampled preset acoustic kits is very impressive. It uses preset names that subtly reveal the inspiration (if not the actual sound) behind the samples used. There are significant ‘nods’ to the Chilis Peppers, Foo Fighters, Zeppelin, etc. here and there. But regardless of any of that, the acoustic emulations are warm, deep and very involving. The cymbal response is superb, from a nicely defined bow ‘ting’ to the crashing wash of the edge of the ride. Everything is handled near seamlessly. The toms are also excellent and deliver three-dimensional and very organic, dynamic tones. To create or install your own sounds, simply import any WAV, REX or AIFF files of your choice into the brain. You can then edit them with the company’s own editing software. Ability to load your own sounds. It does have some limitations. 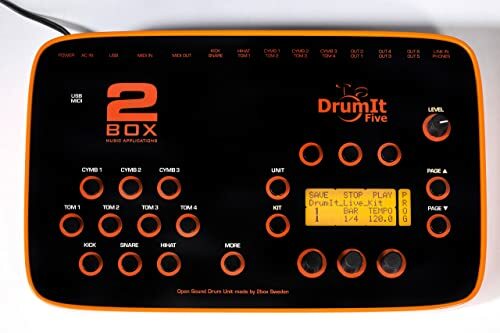 Should you buy a 2Box DrumIt Five? The DrumIt Five is definitely one of a kind – its looks, its features, everything about it – makes it quite unique. But, it’s actually much more than that, it’s a great electronic drum kit, with superb feel and excellent sounds. 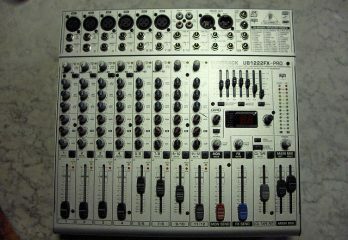 Coming from a smaller manufacturer, it’s completely different in character to what’s being offered by the likes of Roland and Korg. It somehow just feels more rewarding to play and be creative with. It’s obviously not for everyone, the color alone will put a lot of people off it, but we love it – its funky, plays great and sounds superb, what is there not to love about it? Sorry, of course, I forgot for a second – it’s sheer orangeness!